To reload or not reload that is the question. The answer to this is partly the type of shooting you do partly the calibre (is it common? ), partly the technical aspect and what you shoot (eg. AR15). Financially the set up for Reloading will breakeven at around 15 boxes of Ammo in popular calibres (those easy to buy off the shelf). You have got to know that your reloading set up breaks even at less than 10 boxes for unusual or large calibres, as these are usually expensive and hard to find on the shelf. Reloaders Supplies, as the name suggests, is the go-to place for all New Zealand reloaders. You would be hard pressed to find any other store with the wide range of products for reloading and the reloading knowledge of the staff. Reloading always starts with gear- You can buy the LEE anniversary Kit from Reloaders and it has everything except your calibre dies and consumables. Why go to Reloaders Supplies? Well, you get 269 sets of cartridge dies to choose from – and if they don’t have your calibre Reloaders can source it for you. It’s what they do, it’s why they are called Reloaders Supplies. Good luck getting that sort of expertise from your big box fishing and hunting retail store. What about bullets, or projectiles? Your choice at Reloaders is extensive over 500 types of projectiles. Best of all you have the advice of the Reloaders team to find what suits your shooting. So here are the numbers based on two popular calibres : .308 and .223, up front you buy the kit for $344, that’s the reloading gear. Then assemble your rounds, based on the saving per round (around $1.12 against retail per round for 308), you break even dollar wise at around 15 boxes of ammo. 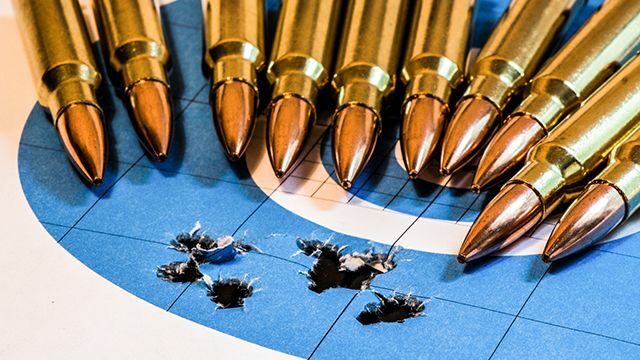 Important considerations for reloading are what calibre you shoot – you save more on the bigger or unusual calibres (not easy to find off shelf ammo), even the humble .303 British or 6.5mm Swedish makes a strong case for reloading. A wider variety of bullet weights and different types of shooting eg. Subsonic and bench rest are awaiting your shooting when you start reloading. A wise reloader once said “the dollars saved” is the reason that explains reloading to the missus!